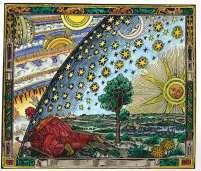 Here are some interesting and educational articles on the subject of alchemy. A basic guide for beginners as to what alchemy actually is, and the distinction between physical and spiritual alchemy. An introduction to some of the basic principles of spiritual alchemy. An exploration of what is meant by the mysterious 'prima materia'. One of the early stage of the great work. Well known for his work on gravity, but Newton actualy dedicated a larger portion of his working life to the study of alchemy. The beginning of a reasonably comprehensive overview of alchemy.